The Thanksgiving holiday is based on a very simple concept: Being grateful for what you have, and spending time with your family. Unlike Halloween or Christmas, very little decoration and spending is required to enjoy a successful Thanksgiving. Many markets and national grocery chains offer free turkey promotions in the months leading up to Thanksgiving. Keep your eyes open for weekly newspaper ads and commercials for your chance to score a free bird. 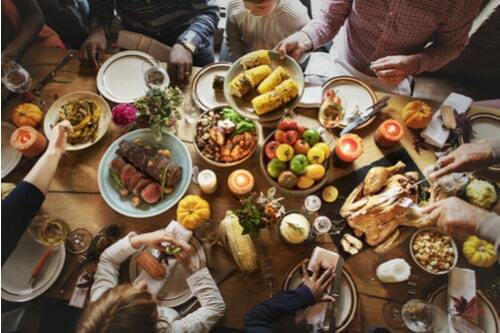 Instead of being the only one to spend money and put in all the effort of preparing a Thanksgiving feast, invite your guests to contribute one of their favorite sides by hosting a potluck. Have your guests sign up for dishes they can bring via an Evite, group text, or Facebook Event. There are plenty of common sense ways to have an affordable Thanksgiving, such as nixing unpopular dinner dishes and appetizers. (With all that turkey and mashed potatoes, you don’t really need appetizers anyway.) Think about the people coming to your home for dinner and only go with things they’ll actually enjoy. Don’t let past customs dictate what you spend your money on if no one really appreciates the time or effort you put into preparing it. 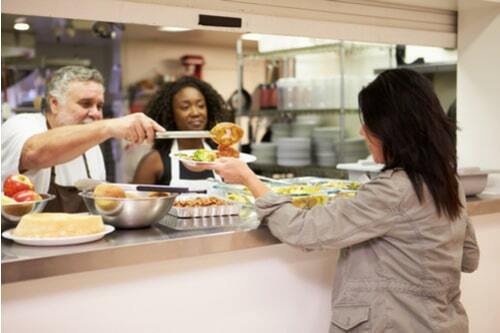 One way to get into the spirit of Thanksgiving is to volunteer your time at a local shelter, church, nursing home, or an organization like Meals on Wheels or Ronald McDonald House Charities. Decorate the Christmas tree with festive music on in the background. 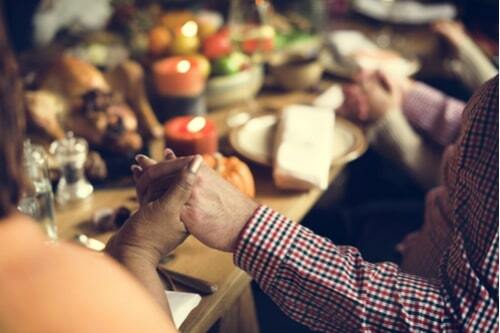 Go around the table and have everyone say what they’re grateful for. Drink hot cocoa watch holiday movies to kick off the Christmas season. Stock up on coupons and shop prices at your local stores. Buy generic brands for your Thanksgiving meal. Turn down the heat. Your home will be so full of warmth already, your guests will thank you. People’s eyes are often bigger than their stomachs. Opt for smaller dinner plates. As the sayings go, money isn’t everything and it won’t buy you happiness, but the fact is, you still need it in order to get by. Perhaps you’re overburdened by monthly bills or unexpected expenses and don’t know how you’ll pay for everything. Fortunately, there’s at least one way to help your situation: Getting a title loan. This is a particularly good option when you don’t have good credit or can’t qualify for a traditional loan. If you’re eligible, you could get up to $15,000 while continuing to drive your car. So, don’t hesitate another minute, because leaving your financial stress behind you at Thanksgiving is something we can all be grateful for.